It may not seem so, but it takes courage to get to class sometimes–to subject yourself to Cairo traffic (even on lighter Fridays), to leave your family for a few hours in the middle of the weekend so you can have a moment to yourself to feel your own body and breath. But the result is worth it: victorious, we enjoyed the two-hour half primary exploration working on breath, workshopping a little this elusive thing called bandha. 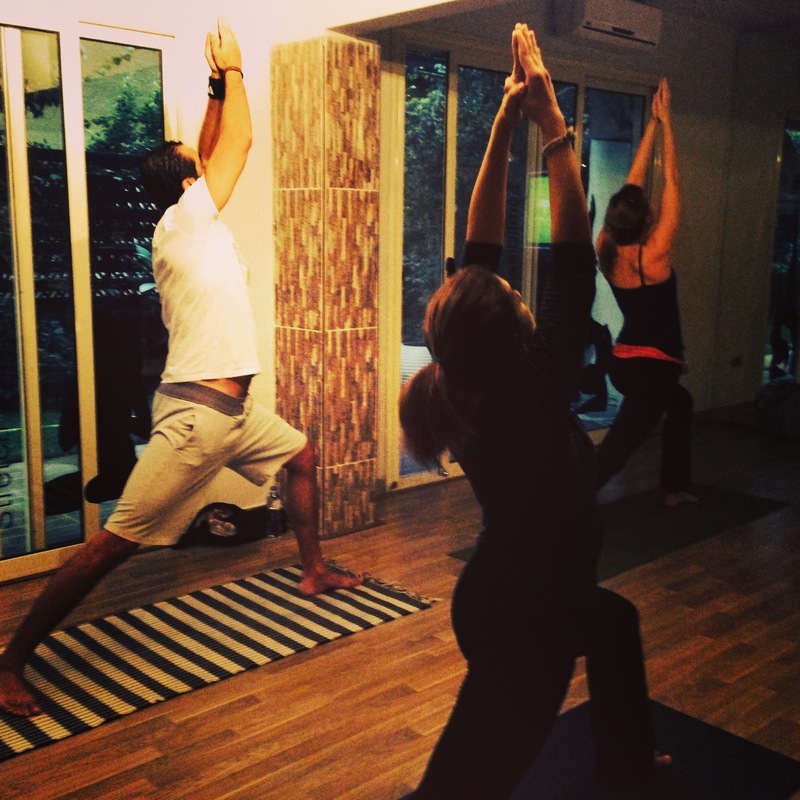 Next Friday, 1PM, November 29 will be the last of the Friday Led classes in Maadi. In December, La Zone schedule will be Sunday to Thursday mysore mornings 7-10am until December 15. Photo: This Friday’s led class at La Zone, Maadi, Cairo. This entry was posted in Classes & Offerings and tagged Ashtanga, Ashtanga Yoga Egypt, Cairo, Egypt, La Zone, Led Class, Maadi, Virabhadrasana, Warrior Pose by sisterhoodofthetravelingmala. Bookmark the permalink.